One of the most frustrating aspects of landscaping is watching new plantings get overtaken by invasive plants. In some instances, it’s by species already on the site or adjacent to the site; in too many instances, it’s by species that are brought into the site through nursery material, hay bales, mulch, or loam. Of all the invasive species, Japanese Knotweed (Polygonum cuspidatum), once established, is one of the most difficult to manage and eradicate. Two separate projects, one by the Massachusetts Department of Transportation (MassDOT) and another by Friends of Arlington’s Great Meadows (FoAGM), are using very different strategies to restore small areas of knotweed-infested land. MassDOT is maintaining a site treated with herbicide and restored with switchgrass along I-290 in Worcester. MassDOT, which manages thousands of miles of roadsides, much of which is heavily infested with invasive plants, does not use volunteers or have sufficient resources for long-term, intensive maintenance. Therefore, the strategy is to use the most cost-effective treatment in the short term (herbicides) combined with planting for restoration. FoAGM have been managing knotweed with volunteers and no herbicide at a site along the Minuteman Bikeway in Lexington, MA since 2004. Here the strategy is to encourage a sense of shared responsibility on the local level where a community participates in the removal of knotweed and managing the landscape over the long-term. Treatment without herbicides is environmentally safer and avoids the hassles of permitting and the need for licensed applicators. However, as FoAGM’s project demonstrates, it requires physical labor several times over the growing season and over the course of many years. The challenge then becomes finding volunteers and sustaining that volunteer effort for the long term. While the organizations behind the projects and their means and methods are considerably different, ultimately, it is the similarities which make the efforts so far successful: sustaining long-term management (requires one or more dedicated individuals); staying within the limits of the resources available by focusing on small areas; and incorporating restoration as part of the control. Whether management can be sustained long enough or controls will be sufficient to allow for the establishment of the desired species, only time will tell. Once introduced to a site, knotweed easily out-competes other vegetation to create extensive mono-stands, altering native or otherwise stable vegetative communities and habitat. Along waterways it not only replaces riparian vegetation and reduces upland species diversity, but it also alters aquatic ecosystems in a variety of ways. The loss of tree and shrub canopy can cause increases in water temperature. This in turn affects water chemistry and fish habitat. The loss of leaf litter and woody debris results in a loss of shelter for fish and invertebrates. The inability of groundcovers and mosses to grow beneath the dense canopy of knotweed results in bare soils, leaving banks susceptible to erosion and causing siltation in stream beds, again, altering fish habitat. The problem is not simply that of displacing native plants and altering upland and aquatic ecosystems. Knotweed can cause structural damage to asphalt and concrete. Dead canes block drainage channels, contributing to flooding. For communities that rely on fishing for tourism and income, knotweed infestations along waterways can result in economic loss by reducing fish populations. 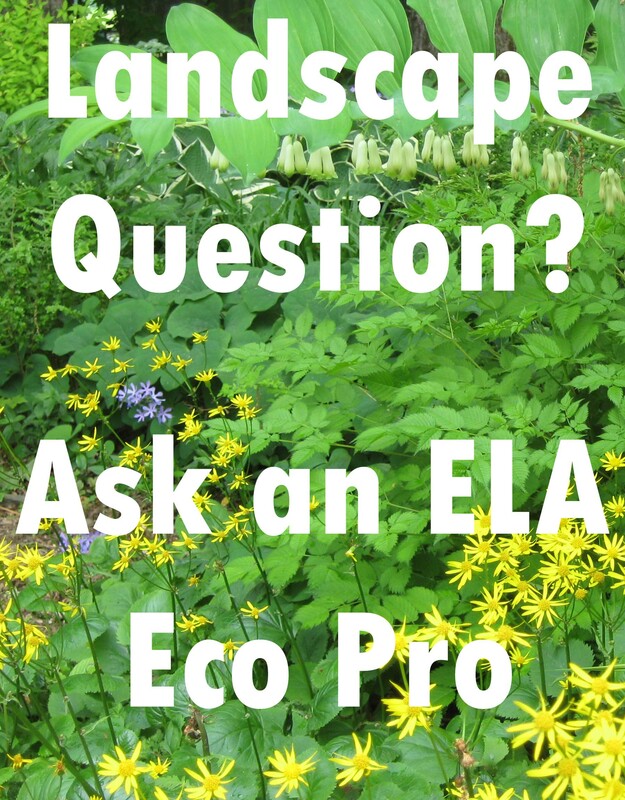 As land becomes unstable and costly to restore, knotweed can decrease property values. 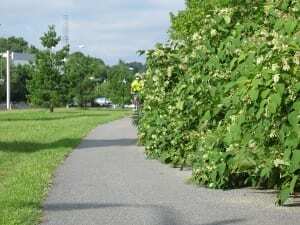 Along roadways and bike paths, knotweed causes safety concerns when it blocks signs, sight lines, and walkways. Knotweed spreads by seed, but its primarily means is vegetative – through its rhizomes (root system). It spreads through its rhizomes in two ways: by sending out lateral shoots to create ever-larger stands, and by re-sprouting from rhizome fragments, creating new populations. This ability to re-sprout from fragments – fragments as small as one inch – results in its rapid spread to new locations. It is also why it is so often seen lining waterways, roadways, and bike paths. The disturbance of flooding causes rhizome fragments to break away from the banks and wash downstream where they create new colonies. Along highways and bike paths, human activities substitute for flooding as mowing and other maintenance activities can spread rhizome fragments along the corridor. Humans also spread knotweed to new locations through the transport of rhizome fragments in loam and mulch. Humans not only spread knotweed by moving rhizomes from place to place, but our management practices may also be causing infestations to expand more rapidly. 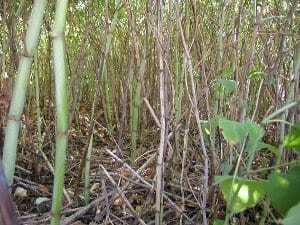 The infrequent cutting of knotweed canes, which is typically the practice along highways or other minimally managed land (cutting only when it becomes problematic), instead of weakening the plants, may actually stimulate lateral shoot growth, increasing the spread on-site and to adjacent sites. Managing knotweed requires both on-site control as well as taking steps to prevent spreading it to new locations. 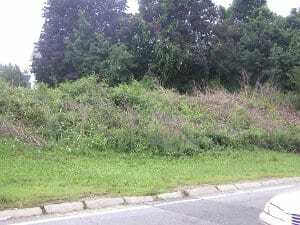 However, controlling the spread of knotweed by humans may be even more difficult than eradicating knotweed from a site. MassDOT’s control and restoration effort began as part of a two-year contract in 2007. The contract included planting in various locations and a small-scale experiment to test the effectiveness of selectively applying an herbicide (glyphosate) with an injection gun to eradicate knotweed in planting beds. As a targeted application, the injection gun was considered to have the potential to eradicate new knotweed populations without impacting adjacent, desirable plants. At the time, the injection gun was relatively new and was considered highly effective. 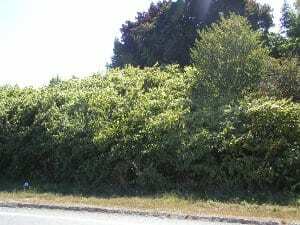 Sites chosen for knotweed injection included recently planted areas and a large stand of approximately 5000 square feet located at Exit 14 off of I-290 in Worcester, MA. Knotweed treated in the planted areas consisted of small clumps with 20 to 30 live canes and larger clumps that were approximately 6 x 10 feet in size. 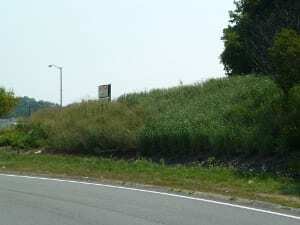 Knotweed at Exit 14 prior to treatment – May 2007. Once control was underway, the project managers realized that restoration of Exit 14 would be necessary to repair the site and help with continued control of the knotweed. A decision was made to plant switchgrass as part of the two-year contract. The contract began with herbicide treatment in September of 2007. Over the course of the treatment period, project managers found that the injection method, while effective, has limitations. Compared with conventional foliar spraying, it is very time-consuming (and therefore more costly) since every live stem has to be injected. The concentration of glyphosate required is very high: 4ml to 5ml of 100% glyphosate injected into each stem. Because injecting the entire patch of knotweed at Exit 14 would have exceeded the amount of herbicide allowed per acre, a decision was made to treat half of the site using the injection method and to treat the remainder with a glyphosate foliar spray. Observation in the year following treatment found that most of the small, isolated clumps of knotweed in planting beds were eradicated. Larger clumps continued to have some re-growth. Stems that were missed grew back the following year. While all of the clumps were significantly reduced in size and vigor or completely eradicated, in some instances, control unfortunately opened the site up to colonization by other invasives, primarily bittersweet and crown vetch. With the large stand at Exit 14, in comparison to the foliar spray, stem injection appeared to be more effective in preventing re-growth (both fewer plants and weaker growth). However, this difference could have been due to the difficulty of spraying full-grown knotweed (6-8 feet in height) rather than the effectiveness of the injection method. Knotwood re-growth after first treatment. Right side injected; left side foliar application – August 2008. After initial treatment, project managers realized that stem size on re-growth is not large enough for injection – the stem must be at least ½ inch in diameter – and therefore follow-up treatments require foliar application. 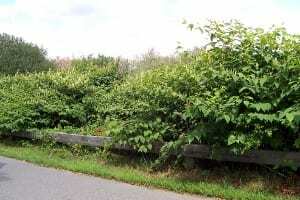 In September 2008, all surviving knotweed was treated with foliar spray. In the final assessment of treatment, the injection method proved to be an effective means of applying an herbicide to eradicate small clumps of knotweed. It offers targeted treatment, there are no drift concerns, application is not weather-dependent, and insects feeding on flowers (most effective spray time is during flowering) are not unintentionally sprayed. Follow-up monitoring is necessary and re-treatment should be expected, particularly for larger clumps. For large stands, such as that at Exit 14, the injection method is too time-consuming. As such areas inevitably require foliar follow-up treatment, the cost and time spent on injection is probably not worth the effort. While a third year of treatment would have provided better control prior to restoration planting, MassDOT was limited by the contract schedule. In the spring of 2009, the dead knotweed canes were cleared, and the site was planted with one-gallon pots containing two varieties of switchgrass, ‘Shenandoah’ and the straight species, and daylilies along the edge. 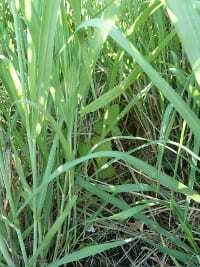 Switchgrass was chosen in the hope that its deep and extensive root system (reaching 9 feet deep or more) could compete with that of knotweed, and that the density of above-ground growth might shade out knotweed sprouts. The intent of the daylilies was to help demarcate for mowers the borders of the planted bed that should not be mowed. Both switchgrass and daylilies are fairly drought tolerant, requiring little or no irrigation for establishment. If the knotweed control failed, the use of herbaceous species allowed for the site to be easily mowed. In August 2009, with the end of the contract approaching, knotweed re-growth within the newly planted restoration was pulled and spot-sprayed. In 2010, in-house personnel took over management of the site. Knotweed sprouts were manually pulled in the spring, and they were pulled again and spot treated with herbicide later in the season. In 2011, knotweed was again pulled and spot-treated in the spring. The surrounding area has been mowed as part of regularly schedule roadside mowing, minimizing the risk of re-invasion. Knotweed Sprout in switchgrass – July 2011. As of August 2011, the switchgrass is establishing well. Small shoots of knotweed continue to persist, but so far, the switchgrass is holding its own. Unless pulled or re-sprayed, knotweed re-growth will likely overtake the daylilies. In that case, they will be mowed. Minimal control of knotweed by pulling and spot treatment (depending on availability of applicator) is planned for another two years by which time the switchgrass should be dense and well-established. At that time, the switchgrass will be left to fend for itself. 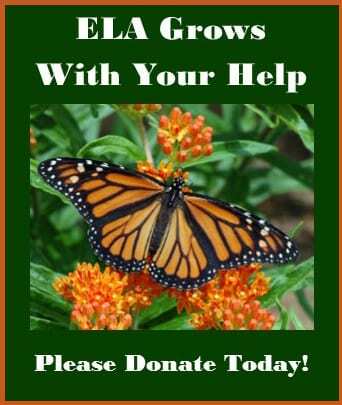 Switchgrass restoration – August 2011. Arlington’s Great Meadows (AGM) is a 183-acre tract of open land owned by the Town of Arlington and located in neighboring East Lexington. The largest natural, undeveloped area in Arlington or Lexington, AGM includes extensive wetlands, upland forests, grasslands, vernal pools, and other natural communities. 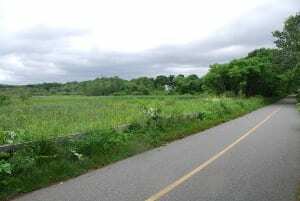 The Minuteman Bikeway, one of the most popular rail trails in the United States, follows the western border of AGM for nearly a mile and offers breath-taking views of AGM’s wetlands. 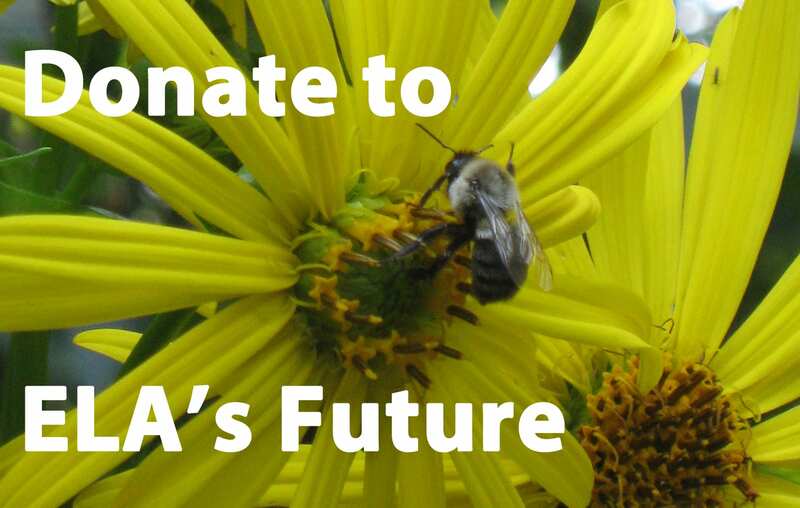 Since 2002, stewardship of AGM has been provided by the Friends of Arlington’s Great Meadows. Although invasive plants abound in many areas of AGM, during the last six years the Friends have focused invasive management efforts in a test area along the Bikeway, about 100 yards in length, where a massive stand of knotweed, apparently introduced during construction of the bikeway, had grown up to block the view of the wetland from spring through fall. The knotweed created a barrier that was approximately 6-8 feet high and virtually impenetrable. Arlington’s Great Meadows “before” condition – 2004. Since 2005, the Friends have used two experimental techniques in an attempt to eliminate knotweed from this area. The first, referred to as “Cut, Dig and Cover” or “Dig, Dig, Dig,” has involved cutting the stalks, digging out the root crowns and as much of the rhizome network as possible, and then covering the ground with black landscape plastic for an extended period of time in an effort to block sunlight and thereby destroy any remaining rhizomes. The second, known as “Cut, Cut and Pull” or “Cut, Cut, Cut,” has involved repeated cutting of the growing stalks during successive growing seasons with the goal of interrupting the process by which energy created by photosynthesis in the leaves is transmitted to the rhizomes for storage, thereby weakening the plant. No herbicides have been used for either method. 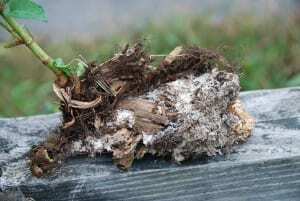 All vegetative waste, including both knotweed canes and root masses, has been disposed of in compost piles on-site, eliminating the possibility of infesting new sites. The “Dig, Dig, Dig” method, which involves an intensive up-front effort but requires relatively little follow-up, has produced mixed results. Two experimental plots located in the center of the test area were initially excavated, then covered with black plastic in the spring of 2005. The first was uncovered at the end of 2006, after remaining under wraps for a little over a year and a half. Once uncovered, a mix of wild meadow grasses was sown to stabilize the soil. Unfortunately, this length of encapsulation does not seem to have been sufficient to completely eradicate the knotweed. Stalks from surviving fragments of rhizomes continue to sprout through the grass cover and have had to be controlled by periodic pulling of the new growth. A second, adjoining plot, left under wraps for three more years, and finally uncovered in late 2009, has fared better. This section has remained largely knotweed-free for the last two years. Plastic cover on second plot – May 2008. Rotting rhizomes in “Cut, Cut, Cut” area. 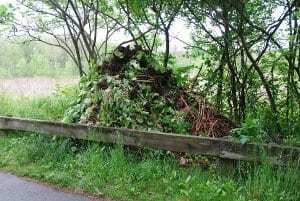 During a single workday in the fall of 2008, volunteers were able to uproot approximately 80% of the knotweed plants in the “Cut, Cut, Cut” area, including a significant portion of their rhizomes. On-site compost pile – May 2009. Despite the promise of the “Cut, Cut, Cut” method, this approach has not yet resulted in the complete eradication of knotweed. Those plants that were more tenacious and could not be uprooted in the first volunteer effort, as well as remnants of rhizomes from the plants that were successfully uprooted, have continued to generate new growth. However, the new growth has been noticeably less vigorous, and most of it can be uprooted by hand with a relatively minimal effort. A few man-days of work each season has largely eliminated most of the knotweed that was previously growing on the upper bank closest to the Bikeway and helped maintain control of the recurring growth on the lower bank adjoining the wetlands. It is hoped that continued repeated cutting will eventually weaken the relatively few remaining healthy plants and allow them to be removed as well. The results that the Friends have achieved in AGM demonstrate that knotweed can successfully be controlled, weakened, and possibly even eliminated, without the use of herbicides. Both approaches the Friends have taken, however – particularly the longer-term “Cut, Cut, Cut” method – are extremely labor-intensive and thus heavily dependent on the willingness of volunteers to contribute significant efforts over a sustained period of time to work that can be thankless, dirty, and at times downright Sisyphean. The major challenge the Friends face if the experimental effort they began six years ago is to succeed over the long haul is to develop and maintain a significant volunteer corps of more than just a few who can carry on the work on a sustainable basis without risk of fatigue or burnout. Going forward, the Friends hope to achieve this goal drawing on high school community service programs as well as neighborhood residents and Bikeway enthusiasts. While it is too early to tell whether control methods that do not involve the use of herbicides can offer an effective long-term solution, the Friends’ efforts at the very least have succeeded in keeping open for thousands of cyclists and other daily users of the Minuteman Bikeway one of the finest views of the Meadows. View of site and Great Meadows – June 2011. Clearly, management of knotweed is a difficult undertaking. The effort and the intent behind these two projects put them more in line with gardening than with what is typical for maintaining minimally managed landscapes such as roadsides, bike path corridors, or reservations. As with gardening, the focus is on the cultivation of specific vegetation on relatively small plots of land – not vegetables or ornamental species, but native species or a diversity of species. The goal is not one of food production or aesthetics alone, but to provide a more stable plant community that protects wildlife, waterways, and human infrastructure. We certainly can’t address all invasive plant populations in this way, nor, given the persistence of invasive plants, can we necessarily expect these designed landscapes to last any longer than a garden once the maintenance stops. But perhaps they are a small step in the direction of bringing about a much-needed cultural shift from perceiving landscaping as being solely for ornamental purposes to recognizing that landscaping is also about restoration. Ideally landscaping provides not only aesthetic improvements, but protects and restores the existing systems that sustain us. Gozart, Casey. Clark County Weed Management: Lewis River Knotweed Control Pilot Project 2004 Report. Gozart, Casey. The 2004 East Fork Knotweed Control Project: Results Data, May 2005. Clark County Weed Management, Lewis River Knotweed Control Pilot Project Reports 2005 and 2006 (www.co.clark.wa.us/weed/documents.html). Soll, Jonathan, The Nature Conservancy: Controlling Knotweed in the Pacific Northwest, 2004. Washington State Department of Agriculture, Statewide Knotweed Control Program, Progress Reports 2005 -2010 (www.agr.wa.gov). Tara Mitchell is a landscape architect with Massachusetts Department of Transportation. Her responsibilities include design, design review, and construction services for landscape restoration on transportation projects, including upland restoration and wetland and stream bank mitigation. Tara may be reached at tara.mitchell@state.ma.us. John Bartenstein, a resident of Lexington, has been a member of the Friends of Arlington’s Great Meadows Steering Committee since 2003. 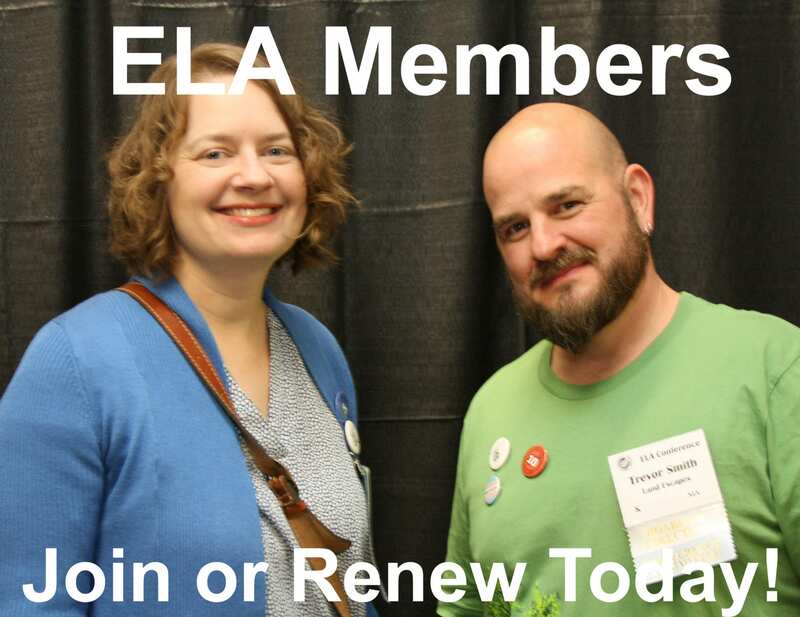 Formerly a partner at the Boston law firm of Ropes & Gray, John now has his own law practice in Lexington, specializing in environmental litigation, and is active in Lexington affairs as a Town Meeting Member and member of the Town finance committee. John can be reached at jcblex@verizon.net, and additional information about Arlington’s Great Meadows can be found at www.foagm.org.